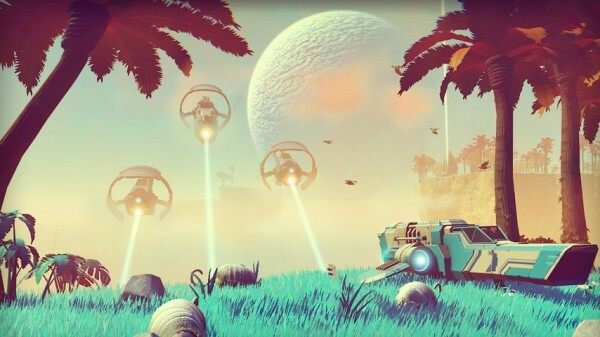 No Man’s Sky continues to hit new lows when it comes to player interest. After official chatter died down following the release of No Man’s Sky, it seems like you can’t go one week without hearing about yet another record the game managed to break, and not in a good way. The game had one of the sharpest declines in player numbers Steam had seen in a while, and managed to attract the attention of a consumer protection agency in the UK after many complained about false advertising. It now appears the game has one of the lowest user ratings on Steam, certainly in recent memory, and definitely among the lowest for a game as hyped as No Man’s Sky was in the lead up to launch. As recently noted by a Reddit user, No Man’s Sky currently has a “mostly negative” overall rating, based on 71,366 user reviews. Even when you look at recent reviews separately, 5,509 reviews have left it bearing an “overwhelmingly negative” rating. By Steam’s own data, only 12 percent of reviews submitted in the last 30 days are positive. Overall, 32 percent of reviews are positive. The Reddit thread above has not been kind, with many users seemingly competing to list other badly-received games with lower Steam ratings. It’s really disappointing to see. The radio silence form developer Hello Games and creator Sean Murray certainly didn’t help it.